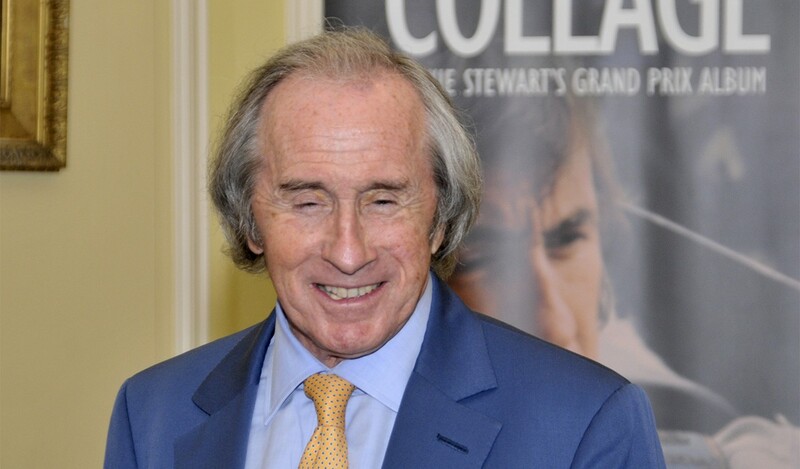 Limited to just 1,500 signed and numbered copies, with a foreword by His Serene Highness Albert II, Sovereign Prince of Monaco, Collage is a celebration of the career of the one of the greatest Formula 1 drivers of all time, Sir Jackie Stewart. 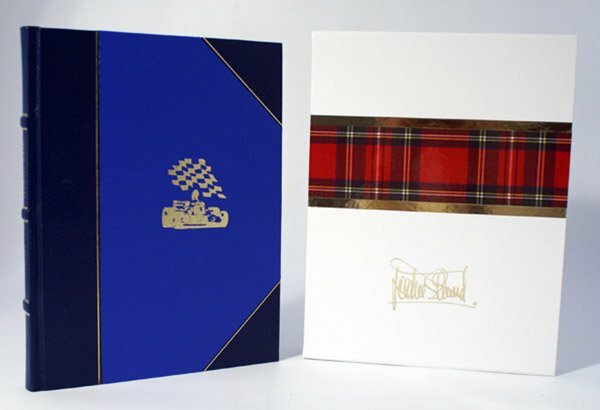 Leather-bound in Scotland by craft bookbinders, Collage is a critically acclaimed account of an incredible motor racing career, as told in Sir Jackie Stewart's own words and through the archive of the Stewart family albums. 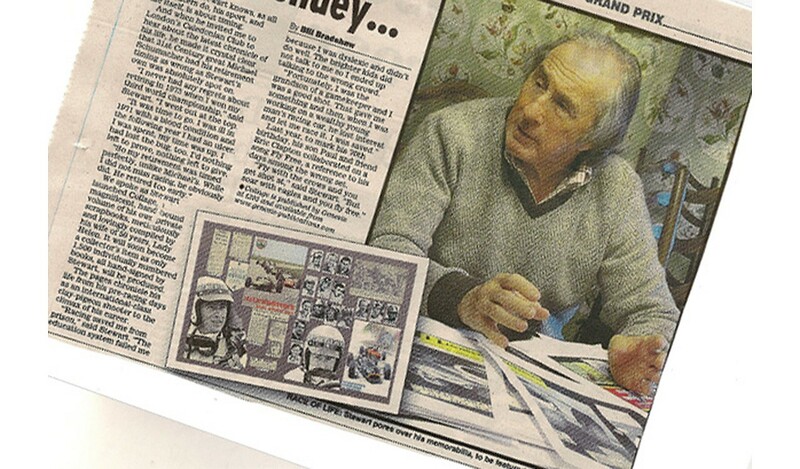 A wealth of unseen photographs, press cuttings, pit passes and memorabilia bring to life Stewart’s historic decade in Formula One racing. A unique account of the incredible racing career of Sir Jackie Stewart told through the unseen archive of the Stewart family albums and Sir Jackie's own in-depth commentary. Collage begins with Sir Jackie's early sports car and Formula Three races and culminates in his retirement after winning a third world championship in 1973. In between times was a relentlessly high-octane career that included racing in Formula One, Two and Three - often simultaneously - Le Mans, CanAm, the Indianapolis 500 twice and two eventful Tasman Series. He chalked up 27 Grand Prix victories in 99 starts, was awarded an OBE and, in 1966, suffered a near-fatal crash that led to him becoming a pioneering campaigner for improved driver safety. There were also film premieres, trips on ocean liners, the birth of his two children and even a royal wedding. The triumphs and losses were documented extensively by Lady Helen and are now narrated by Sir Jackie Stewart in over 200 beautifully-reproduced pages with an introduction from His Serene Highness Albert II, Sovereign Prince of Monaco. 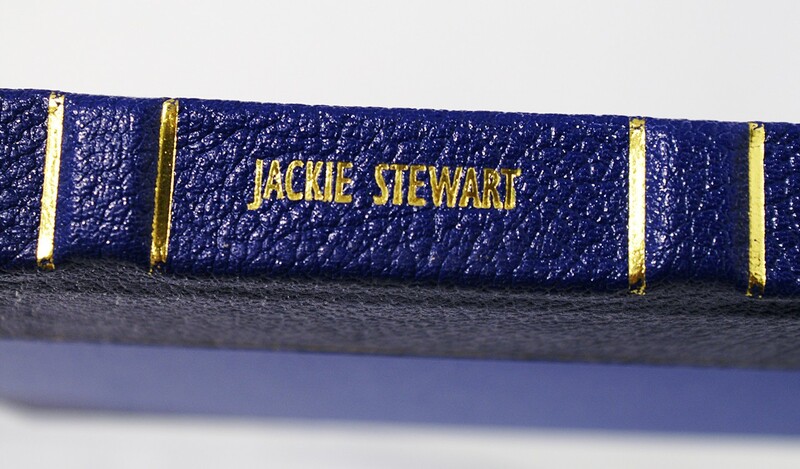 A collation of the original Stewart Grand Prix family albums, Collage has been assembled by Sir Jackie Stewart and is interwoven with his own personal stories and recollections to create a dramatic re-telling of a 'rocket ship ride' career. 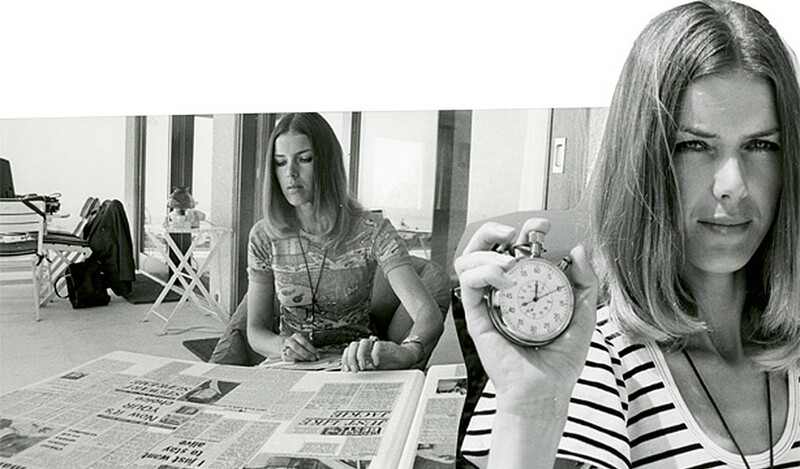 Originally compiled by Sir Jackie's wife, Lady Helen Stewart, the Stewart Grand Prix albums began in the early Sixties with a few press cuttings. They grew to 17 volumes that come to peak in 1973. This utterly unique Grand Prix Album not only tells the personal story of a truly remarkable sportsman, but also opens up a fascinating new window onto the halcyon days of Formula One. 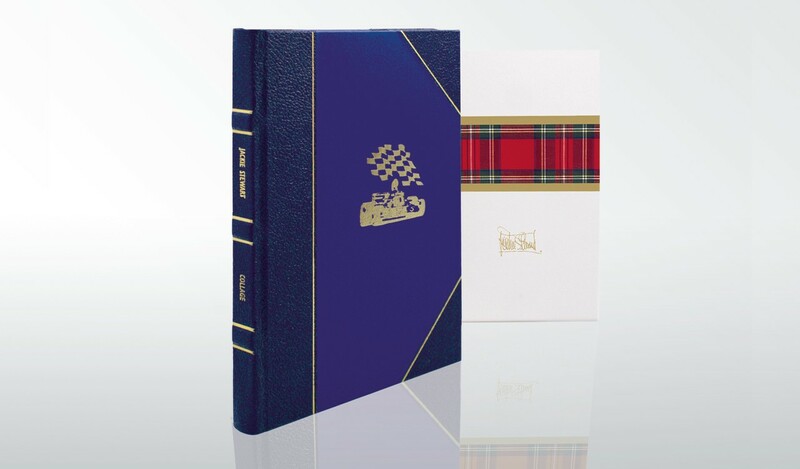 Collage is Jackie Stewart's historic document of a pivotal era in motorsport and a luxurious, hand-crafted volume to be treasured in its own right. 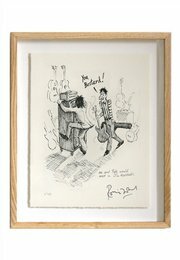 Strictly limited to 1,500 copies worldwide. 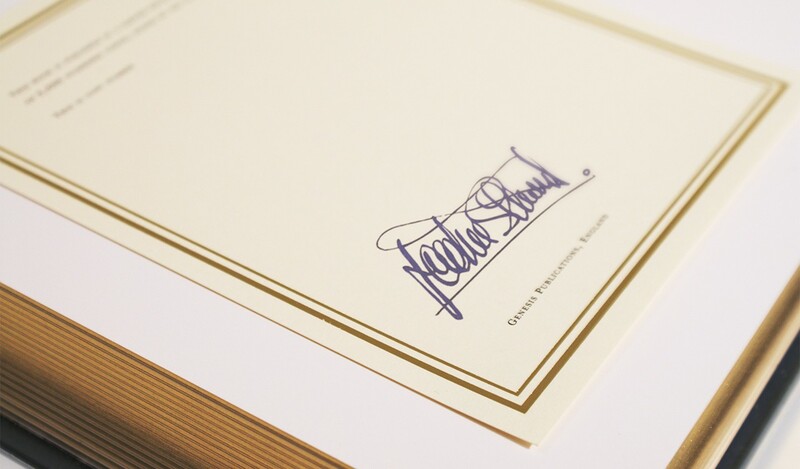 Jackie Stewart's 208-page album is superbly reproduced with an English printer founded in 1845. Printed on premium, heavyweight, uncoated art paper, the book's pages are then bound by hand at an artisan bookbindery in Scotland. 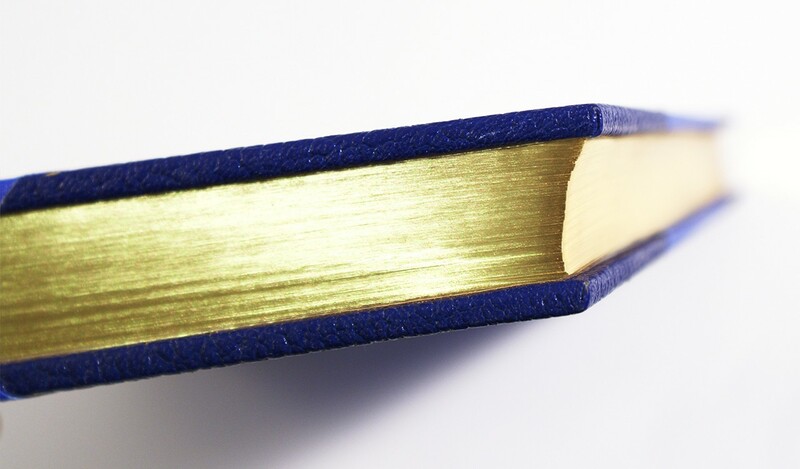 Each book features gilded page edging and hand-tooled decorative work blocked in gold leaf. 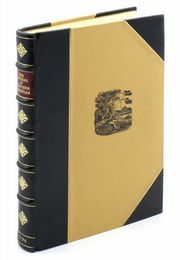 The robust leather half-binding is presented in a hand-crafted slipcase inspired by Sir Jackie Stewart's crash helmet. The case is finished with silk-laminated paper, gold-foiling and a Royal Stewart tartan band. 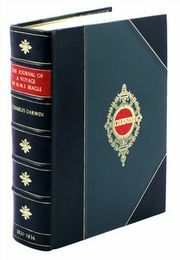 Half-bound in blue leather and cloth, with gilt tooling and gilded page edging. 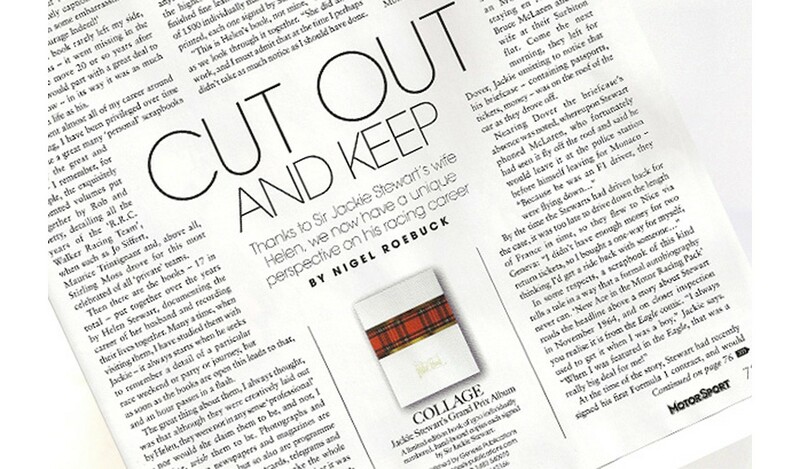 Housed in a slipcase finished with silk-laminated paper, gilt foiling and a Royal Stewart tartan band. 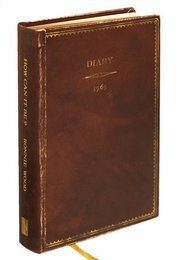 The signed leather-bound chronicle of an incredible motor racing career: photographs, press cuttings, pit passes, memorabilia bring to life a halcyon decade in Formula One. Bespoke grey cloth solander box with gold blocking.